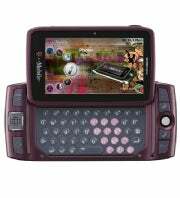 T-Mobile Sidekick customers should today learn more about the server crash that caused their phones to lose their personal data, the company said. Meanwhile, the carrier warns customers not to remove the handset's battery or newly entered data will be lost. Bad enough for T-Mobile, the incident is particularly embarrassing for Microsoft, which operates the Sidekick data service, and other companies who are promoting Internet-based "cloud computing" as the next generation of data storage. The actual extent of the loss, from a Microsoft server, has not been released, though it appears thousands of customers lost contact lists, calendar items, photographs, and other personal items from their phones. T-Mobile said more than a million Sidekick handsets have been sold. Not all customers lost information. "We plan to communicate with you on Monday the status of the remaining issues caused by the service disruption, including the data recovery efforts and the Download Catalog restoration which we are continuing to resolve," T-Mobile said in a forum post apologizing for the data loss. "T-Mobile and the Sidekick data services provider, Danger, a subsidiary of Microsoft, are reaching out to express our apologies regarding the recent Sidekick data service disruption." Reaching out to express our apologies? You have just lost people's online lives and that is the best you can do? That apology and a month of free data service? OK, people should realize that having T-Mobile is a risk and a phone made by a company called "Danger" seems like an actual warning. In retrospect, at least. Still, it took the giant hand of Redmond to really screw things up. What do you mean you do not have a backup of the data on people's cell phones? Over the weekend, several Sidekick-owning friends asked me to send all my contact information and check my calendar to see if we are scheduled to be doing something. Most were philosophical about the loss and simply plan to purchase a different phone to replace their Sidekick. That way, they do not have to depend on Microsoft anymore. Which should, perhaps, give us pause as Microsoft--and others--keep telling us we ought to store ever more of our work and lives "in the cloud." However, sometimes a cloud can simply disappear, right before your eyes. This morning, the forecast locks a lot less "cloudy." At least where my data in concerned.